When it comes to setting records for things, HBO’s fantasy epic Game of Thrones is something of a professional. For one, it boasts an astounding number of people who use social media to pretentiously flaunt their vast knowledge of George R.R. Martin’s novel series, but it’s also a subscription cable juggernaut where ratings are concerned. Sunday’s Season 4 finale, “The Children,” was one of the series’ highest-rated episodes and took very little time at all to become the most pirated TV show in history. Game of Thrones also probably set some kind of mark for having the most opening title parodies, but you’ll have to wait until the bottom of this story for the latest and greatest version. According to the piracy blog TorrentFreak (via EW), the first twelve hours after “The Children” aired saw more than 1.5 million downloads occur, with the same file being shared by over 250,000 online users. That number itself is a new high, and completely smashes Game of Thrones’ previous records. And the numbers have no doubt grown over the past two days, with TorrentFreak estimating more than 7.5 million downloads to go through during the week. That’s an audience that many network shows would kill for, and these are just the people doing it illegally. Granted, a lot of this pirating problem stems from Australia, where the company Foxtel has a deal set with HBO that doesn’t allow for subscription services like iTunes and QuickFlix to let fans download episodes as they air, making them wait until the entire season is complete before the option becomes available. As a non-diehard Game of Thrones fan, I’d have little problem waiting that long, but the series’ ferocious fanbase would likely sell their own parents into pre-Daenerys slave communities rather than wait 10-12 weeks to watch these episodes. But how angered are HBO and Time Warner? Who knows? 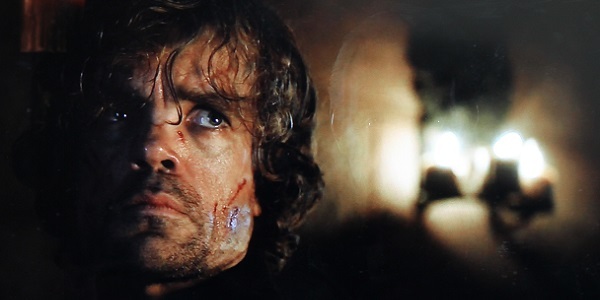 Last year, TW CEO Jeff Bewkes said that Game of Thrones being the most pirated show in the world was “better than an Emmy.” And HBO execs have, in the past, looked at piracy in a negative light, but understood that popularity breeds illegal temptations, and that none of it has stopped the show from getting more legal viewers. One series that never had to worry about illegal downloads was The Brady Bunch, a show that seemingly has nothing to do with the heavy drama of Game of Thrones. Luckily, the pop culture pros at The Wil Wheaton project have smashed these two shows together via an opening credit sequence that is as hilarious as it is spoilery. Be warned. It’s going to be a long year until winter Season 5 comes around, but be sure to visit our preview page for all the latest news and casting! Don’t be such a Reek.